Upper left margin: After that, Saul brought the army against the enemy and defeated them. Lower left margin: And once again Samuel anointed Saul before the assembly and kingship was confirmed upon him and he offered sacrifices. 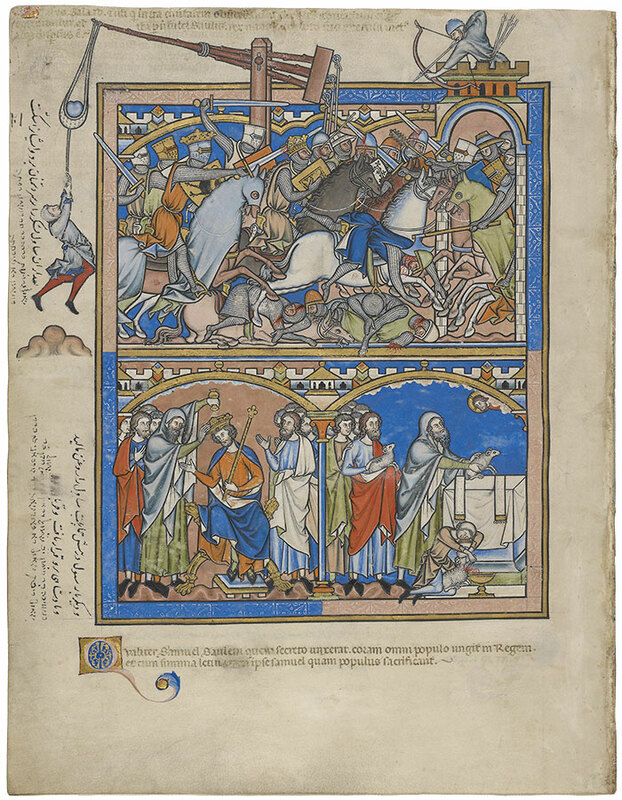 Upper left margin, furthest left: Saul, having assembled the people, encountered the enemy and defeated them. Lower left margin, furthest left: When he [Saul] returned safely, and Samuel sprinkled Saul with oil in this [manner], making him king, they offered sacrifices.